OPPRO Flip Case White OnePlus 3 / 3T This stylish OnePlus third case gives your device maximum protection. How? Including through flexible and durable TPU inner frame, but also the clever imitation leather flip cover. The flip cover of this OnePlus 3 h .. 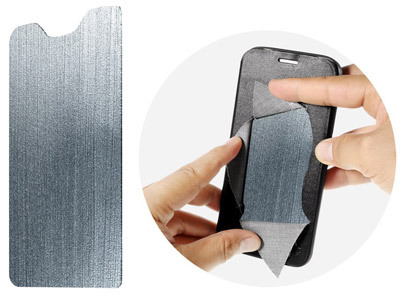 This stylish OnePlus third case gives your device maximum protection. How? Including through flexible and durable TPU inner frame, but also the clever imitation leather flip cover. The flip cover of this OnePlus 3 cover has a specially reinforced structure and also has a card holder. This makes it easy to take your debit card, ID card or smart card. This phone case is suitable for the OnePlus 3 as the new OnePlus 3T. The difference between these two phones is only at the inner side of the phone. In form and appearance are the OnePlus 3 and OnePlus 3T exactly the same! OnePlus three cases are thus exactly the same as the OnePlus 3T cases. Inside the flip is processed 0.4mm thick steel plate. This thin but strong plate prevents sharp objects can come through the cover to make scratches. This OnePlus 3 cover your phone protected so really optimal. The picture below shows how the thin sheet steel has been incorporated into the flip cover. Please choose a bundle in combination with a screen protector. So you're protected 100% directly and get so directly off!